Grade Potential has 5th grade tutors who are passionate about working with elementary students. Through personalized, in-home tutoring, we give your son or daughter the tools needed to move towards success. Our approach to 5th grade tutoring is personalized and specific. We look at each child’s individual personality and learning style and then craft our academic support accordingly. By customizing 5th grade tutoring to the students we serve, we’re able to drive more positive outcomes consistently. At Grade Potential, we provide a skilled educator to work with your child’s developing mind. 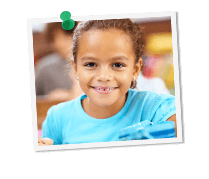 Unless requested otherwise, we work exclusively with credentialed teachers for our 5th grade students. As with all of our tutors, we also work hard to make the proper matches between each 5th grade tutor and each child.